Cities today are being made and re-made at a faster pace and at a larger scale than ever before. Since its inception, the Urban Age project has captured the varied dynamics of these changes. The diverse voices in this book give some texture to the impacts of such changes on people, places and the environment in cities across the globe. Yet, despite the increasing complexity and specificity of the urban condition, there is a generic uniformity in the spatial, architectural and planning realities that are being built on the ground. This essay explores the origins of these models, offers a critique of their rigidity and lack of complexity, and sketches an outline for a more incremental, flexible urbanism that engages with the indeterminacy of urban change. Regularly spaced high-rise towers, separated by dead space and wide roads, divided into rigid functional zones – Central Business Districts, industrial zones, retail and leisure parks, government districts, residential quarters – define many of the emerging landscapes of new or existing cities. Songdo in South Korea, Gurgaon in India and Kigali in Rwanda possess many of these characteristics, as do the dormitory towns on the edges of Istanbul, Mexico City and Kuala Lumpur. Even the centrally planned metropolitan uber-region of Jing-Jin-Ji – 120 million people around Beijing – borrows from a visual, spatial and functional language that has become familiar, even commonplace. So where do these ideas come from, and why do they matter? Their origin goes back to an ideological and spatial model that is at least 80 years old. Outside the architectural profession, the Charter of Athens is a relatively obscure document. Conceived in 1933 on the SS Patris cruise liner en route to Athens, by the Congress Internationaux d’Architecture Moderne (CIAM) – an elite group of predominantly Western male Modernist architects and planners who met regularly between 1928 and 1959 – the Charter is a manifesto for the functional city. Strongly influenced by Le Corbusier’s earlier treatise on the Radiant City and his proposals for the Plan Voisin in Paris, its 94 recommendations were not published in English until the end of World War II in 1946. Le Corbusier’s technocratic vision of equally spaced towers that benefit from daylight and fresh air, clear zoning of functions and the separation of cars and pedestrians, has had a pervasive impact on the language and form of late twentieth- and early twenty-first century cities. The Plan Voisin was designed ‘to save the industrial city from disaster’. Like other major cities in Europe and the United States, Paris had grown into an overcrowded megalopolis. Its peak density in 1861 was similar to some of Shanghai’s inner-city districts today. The speed and scale of the nineteenth-century wave of urbanization was less pronounced than the one we are witnessing in the early twenty-first century. The expanding industrial centres of London, Liverpool, Glasgow, Chicago and New York concentrated the new urban working class into poorly serviced neighbourhoods where entire families lived in one room, child labour was common, life expectancy among young men was well below the age of 30 and belching coal fires poisoned the atmosphere. Different times, location and scale, but not dissimilar environmental and human conditions to the slums of Mumbai, Nairobi or Jakarta today. Congress Internationaux d’Architecture Moderne (CIAM), ‘La Charte d’Athenes, 1933’, trans. J. Tyrwhitt (Paris, 1946). W.J.R. Curtis, Le Corbusier: Ideas and Forms, (London, 1986). 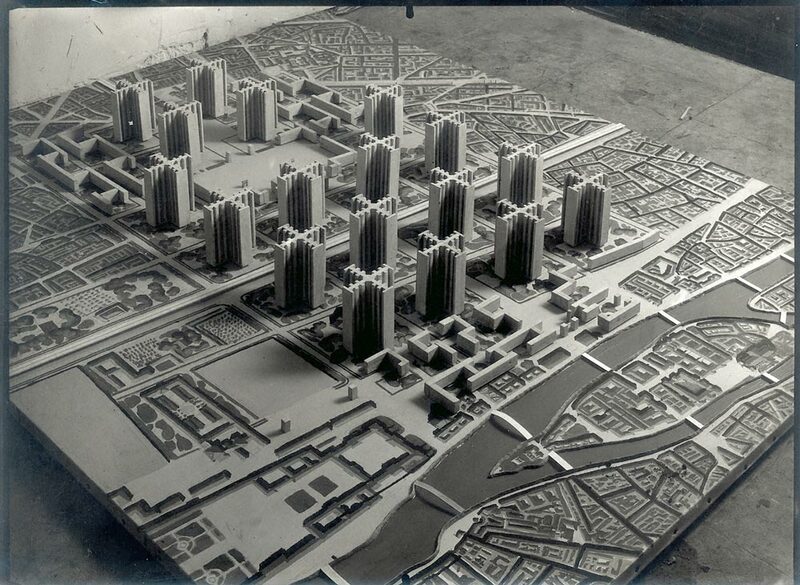 Le Corbusier, Précisions sur un état présent de l'architecture et de l'urbanisme (Paris, 1930). R. Sennett, ‘The Open City’, in (eds) R. Burdett, and S. Sudjic, The Endless City (London, 2008). See also S. Sassen, ‘Cityness in the Urban Age’, Urban Age Bulletin 2 (Autumn 2005). The author was Chief Adviser for Architecture and Urbanism to the Olympic Delivery Authority. I. Sinclair, Ghost Milk: Calling Time on the Grand Project (London, 2011); A. Minton, Big Capital: Who Is London For? (London, 2017). ‘Relighting the Torch: Securing the Olympic Legacy’, Mayor of London, London Assembly GLA report (November 8, 2017), . See also ‘Mayor Reveals East London is Fastest Growing Area of the Capital’, Mayor of London, Queen Elizabeth Olympic Park press release (October 9, 2017).